Al Maryah Central ... being built by Multiplex Middle East. 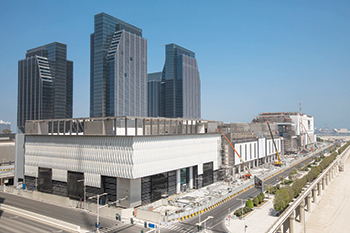 Gulf Related, a regional real estate development company, has announced that its next-generation mall, Al Maryah Central, has achieved a major project completion milestone by obtaining its building completion certificate. Gulf Related is a joint venture between Gulf Capital, a leading alternative investment firm in the Middle East, and US-based Related Companies. 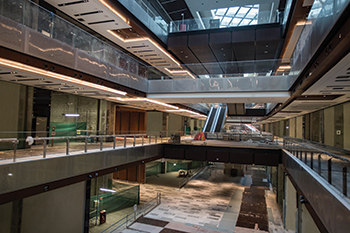 The company points out that this certificate is an important final regulatory requirement, and recognition that multiple authorities have thoroughly inspected and approved the new mall’s design, build quality and safety standards. It also signifies that the construction phase is complete, says Gulf Related. 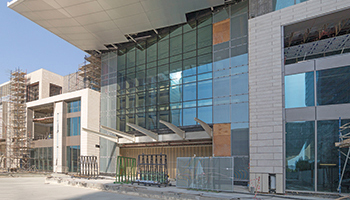 Al Maryah Central has received its building completion certificate. A retail-led mixed-use development owned and managed by Gulf Related, Al Maryah Central, combined with The Galleria on Al Maryah Island – Abu Dhabi’s luxury shopping and dining destination, will deliver a 2.8 million-sq-ft super-regional mall in the UAE capital. Subsequent phases of the development will include residential units and a hotel in two high-rise towers. Two 400,000-sq-ft integrated residential towers will house a hotel and serviced apartments and offer luxury residences. The entire Al Maryah Central development, including the mall, dining precinct, parks and promenade, will be fully connected across Al Maryah Island with air-conditioned access to The Galleria. Obtaining this certificate enables Al Maryah Central’s tenants, including popular global fashion, dining and entertainment brands, to take possession of their units and begin the fit-out works in anticipation of the mall opening its doors to the public on August 27 next year, says the developer. The mixed-use development will include residential units and a hotel in two towers in its next phases. Leading international group Multiplex Middle East is the main contractor responsible for the completion of the $1-billion Al Maryah Central development. On completion, the mega retail venture will feature the first Macy’s outside of the US, the first Bloomingdale’s in Abu Dhabi and 20 specialist Al Tayer stores as part of the 400-store retail offering. In addition, Al Maryah Central will include 100 restaurants and cafés, a 21-screen Vox Cinema with Imax and a host of other attractions.